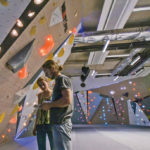 Later this year Austin, Texas will see two new indoor climbing gyms, Crux Climbing Center and the Austin Bouldering Project. These facilities will be the first new climbing facilities to open in Austin in almost fifteen years. Crux plans to build a traditional climbing facility in the hip South Congress (SOCO) district. Across town, Austin Bouldering Project’s gigantic facility is poised to be one of largest climbing gyms in the country, and will be located in a large redevelopment project that will be turning a 172,000 square foot former food distribution warehouse into a mixed used retail and dining complex in northeast Austin. Imagine yourself back in 1998. A new tech company in silicon valley called Google has just been founded, and President Clinton is getting impeached. In Austin, Texas the city’s 460,000 residents (1.1 million in the metro area) are buzzing about their first indoor climbing company, the Austin Rock Gym, who will build the city’s first climbing gym in south Austin; they will build their second location, a bouldering gym in north Austin, soon after. Fast forward to 2014. Google has taken over the tech world and President Obama has his own second term struggles. The city’s population has bloomed to 840,000 people (1.8 million in the metro) . But Austin is still only served by those two original climbing facilities. 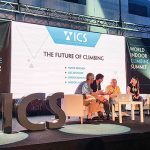 Climbing has surged in popularity, new outdoor climbing areas have been developed, but indoor climbing looks much the same as it had a decade ago; with this stagnation many of the area’s climbers are itching for more options. It’s not for lack of trying. 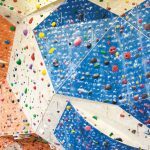 Many local enthusiasts and several established climbing companies have looked to open a new climbing facility in Austin. Up until now, none of them have succeeded in finding a building that can accommodate forty or fifty foot climbing walls in a centrally-located facility, a primary concern due to the city’s rapidly growing traffic problems. Crux Climbing’s co-founder, Matt Twyman, has been looking forward to this moment for a long time. Four years ago he and a group of Austin climbers were so frustrated with the indoor climbing scene in Austin they decided to form a co-op to build their own facility. For about a year they did research and worked on their business plan before realizing there was no real way they could raise enough money for the project. Eventually the project went to the back burner, but Twyman never gave up on the idea. He talked with two different out-of-state climbing companies about partnership opportunities, but the project really only took off when he met his current partner, Kevin Goradia, who was also eager to build a climbing facility in Austin. With Goradia’s help they were able to build a viable business plan and start looking for locations. Because of the lack of suitable buildings for a rope facility, their plan was to do a bouldering gym. Finding the perfect location was the easy part. The first building they looked at was conveniently located near downtown and major roads, it was close to the University of Austin and in an up-and-coming neighborhood just east of downtown. They started negotiations with the building owner. Then the bad news came. Crux’s team heard about another group that was also trying to build a bouldering facility, and it turns out that their facility, which would become the Austin Bouldering Project, was less than ten minutes away. ABP’s building also happened to be owned by the same developer, which soured negotiations with the Crux team. Eventually Twyman and Goradia realized they had to move on. “There is no perfect option anywhere in the city … the perfect facility doesn’t exist. You’re either going to have a great location and you’re going to have to compromise on the facility, or you’ll have a great facility and a crappy location, or some combination,” Twyman told CBJ earlier this year. 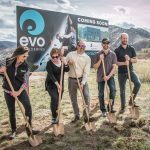 With the news of another bouldering gym about to open, they changed course again and put their efforts into finding space for a traditional climbing facility. This time their luck held out. Crux found a former automotive warehouse south of downtown just off South Congress Street and received approval to raise the roof to thirty feet. 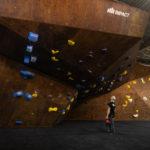 Crux is hoping to differentiate themselves from the competition by offering 24-hour access to a portion of their facility and focusing on competitions and events; they are planning to have a 100 foot long articulating competition bouldering wall with a mezzanine spectator space. The gym will also benefit from the planned relocation of SOCO’s popular food truck park to the property adjacent to their building. Bouldering comp with Torchy’s Tacos? Sounds like a winning combination. Over at ABP, Zach Olschwanger was busy preparing construction plans on a project that has had its own history of twists and turns. Originally Olschwanger was looking to build a rope gym, but after a year of fruitless real estate searching he decided to switch to a bouldering-only model. After making the switch, he was compelled to call up the Seattle Bouldering Project, whose business he admired. He talked at length with SBP owner Andy Wyatt about his project, but fibbed that he was looking to build in Tulsa, Oklahoma. By the end of the conversation, however, he came clean on his plans. “He was so nice and helpful, and just genuine, that at the end of the conversation I said, ‘I’ve got to be honest with you, I’m going after Austin’,” Olschwanger recalled in an interview with CBJ earlier this year. Wyatt was excited about the project, and after several months of discussion Wyatt and SBP co-owner Chris Potts decided to partner with Olschwanger on the new facility, which they dubbed the Austin Bouldering Project. Olschwanger feels that the partnership has been great for the project, not only because he really likes what Wyatt and Potts have done in Seattle. He also admits that the project might not have happened without their support. 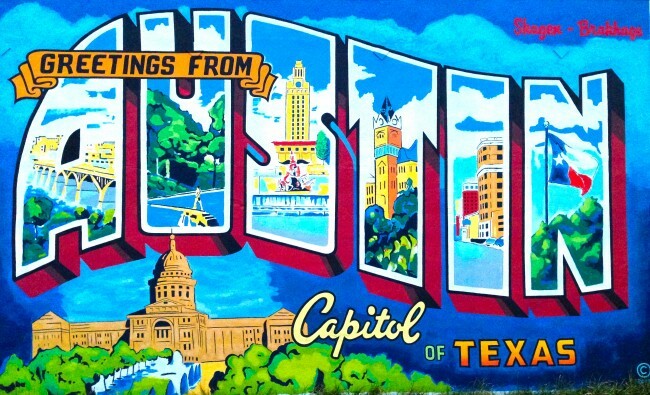 “We have a lot of great people and investors that I’ve worked with here in Austin. But I’m going to say no [it might not have happened] … they absolutely helped to bring it together,” said Olschwanger. Teaming up with SBP will bring a number of advantages. Will Hansen, SBP’s development manager, is planning to move to Austin for a year to help jump-start the project. They will also tap into the expertise of SBP’s head setter, Tonde Katiyo, to help train their new routesetters. The Austin Bouldering Project will also take a page from Seattle by doing things bigger, way bigger than ever before. 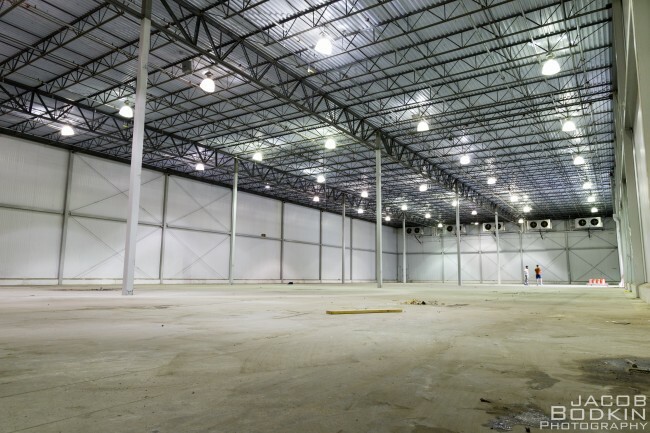 The 46,000 square foot facility (which is 6,000 SF bigger than the cavernous Stone Summit gym in Atlanta) will feature 25 -30,000 square feet of bouldering terrain, yoga and fitness areas, and a “laptop lounge”. They are looking to open the facility by November 2014. Climbers in Austin have waited a long time for new climbing options, and it seems that it will have been worth the wait once these new facilities open later this year. With so much growth and activity in the Austin area, however, it’s not likely that another fifteen years will pass before the next round of gym development hits the city.